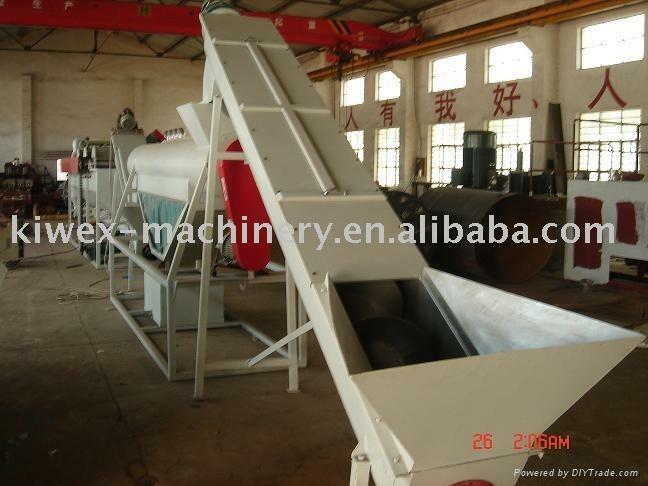 Waste plastic recycling lines, including waste plastic crushing, washing, drying and pelletizing machines, they are suitable for waste plastic materials such as PE, PP, PS, PET, etc. with capacity from 200-1000kg/h. All these machines are in high quality with competitive prices, all with CE certification. With nearly ten years of experience, we also can provide you with good service and technical proposals. According to requirements of users, we also can equip regarding auxilliary machines, such as hydraulic baler, bale opener, label stripper, agglomerator, metal detector, force feeder, etc. All electric components are from famous world brands, such as ABB, SIMENS, SCHNEIDER, OMRON, RKC, etc. If you are interested in our machines, please do not hesitate to contact us.